On the surface, MMA fighters may seem like they have nerves of steel, and certainly anyone who’s been brave enough to step into the cage and compete has demonstrated tremendous strength of character, regardless of whether they ultimately win or lose. 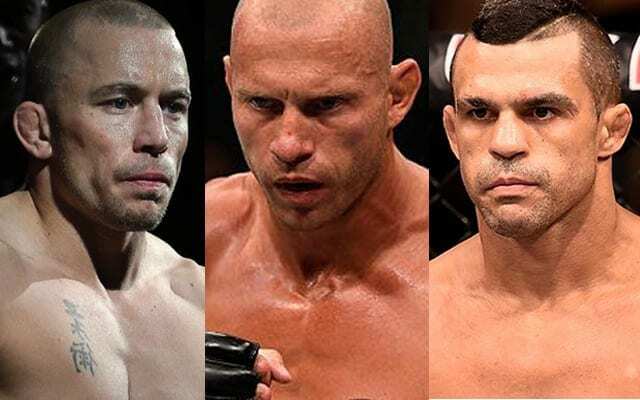 However, as confident and composed as they may appear on the outside, it’s interesting to know just how many MMA stars suffer from crippling pre-fight nerves that turn their insides upside down, sap their strength, erode their self-belief and leave them contemplating quitting the sport. 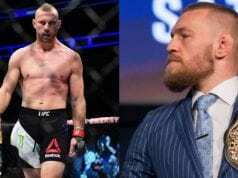 In this article, we’ll look at 10 prime examples, including some of the biggest stars in the sport, who have admitted that some of the toughest battles of their careers have taken place in their own minds backstage before the fight has even begun. As one of the UFC’s most active fighters, as well as an extreme sports enthusiast, you’d be forgiven for believing that Donald ‘Cowboy’ Cerrone is immune to fear. Not all is as it seems though, as his long-time coach Greg Jackson knows only too well, revealing to MMAJunkie that “He gets really nervous right before the fight. 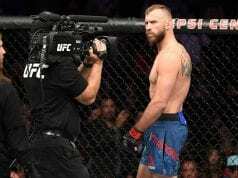 According to Jackson, ‘Cowboy’ doesn’t watches footage of his opponents as it can affect him negatively while indulging in extreme sports during fight week helps him keep his mind off his upcoming bout. Jackson’s not saying anything that Cerrone wouldn’t admit to himself though, as he’s gone into great detail about the trials and tribulations he faces in the hours before a fight. On camera as Cerrone walks out to the Octagon he might look like he’s ready to go to war, but the reality is that internally his mind is reeling. Only when he sets foot in the Octagon does Cerrone finally break free from that inner turmoil and become mentally prepared to do what he does best.